Lake Como has been a dream of mine for years. When my friend Chelsea from Passport to Friday invited me to join her for a trip there, I jumped at the opportunity. 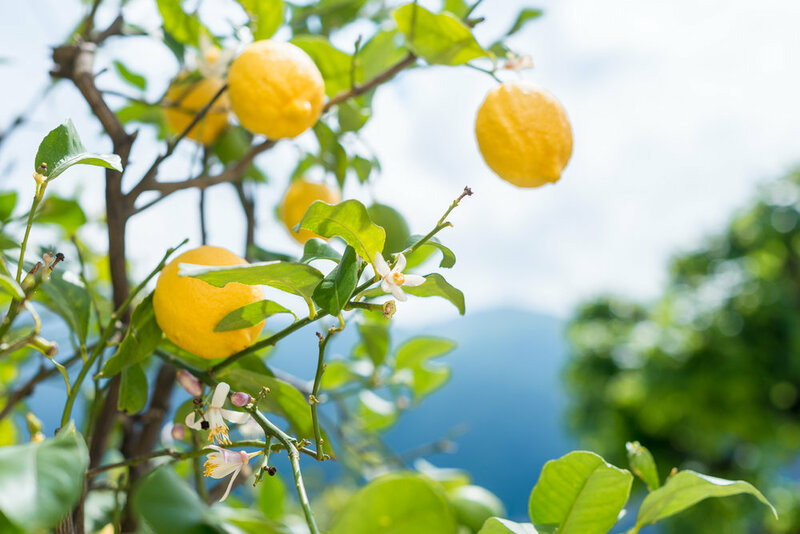 The lake is the third largest in Italy and one of the deepest lake in Europe with a depth of more that 600 feet below sea level! Hollywood stars have houses there and the ritz and glam flock to the region to spend their summers. The minute you see the lake you begin to understand why. The lake which is found right below the Swiss border, is known for its lakeside villas, pristine gardens, and green fjord like mountains. 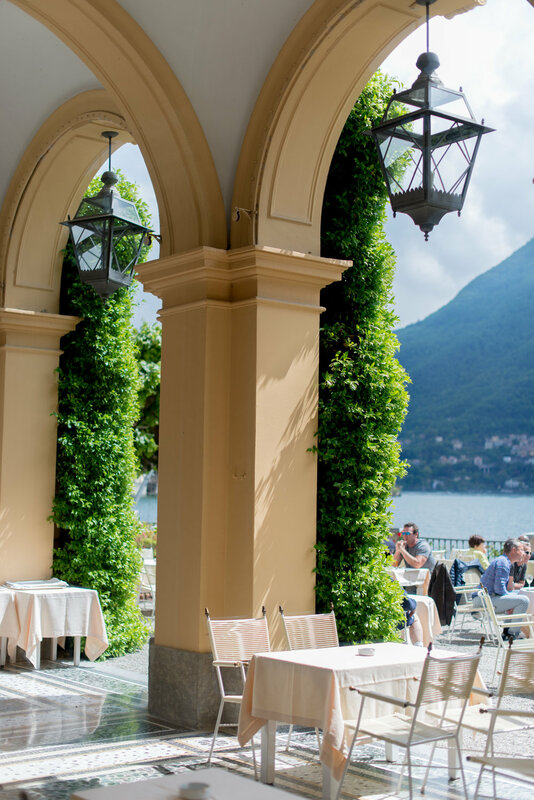 For our first night we stayed in the town of Tremezzo in the iconic Grand Hotel Tremezzo. 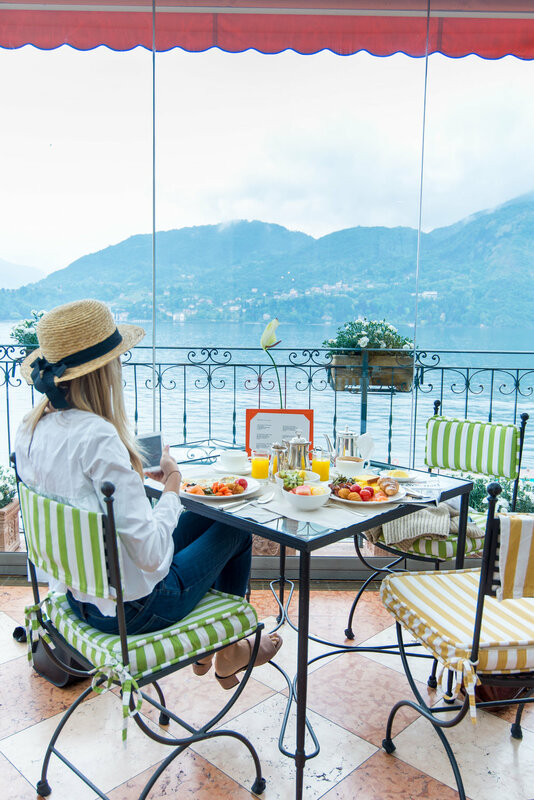 The stunning hotel dates back to the early 1900’s on the northern side of Lake Como. 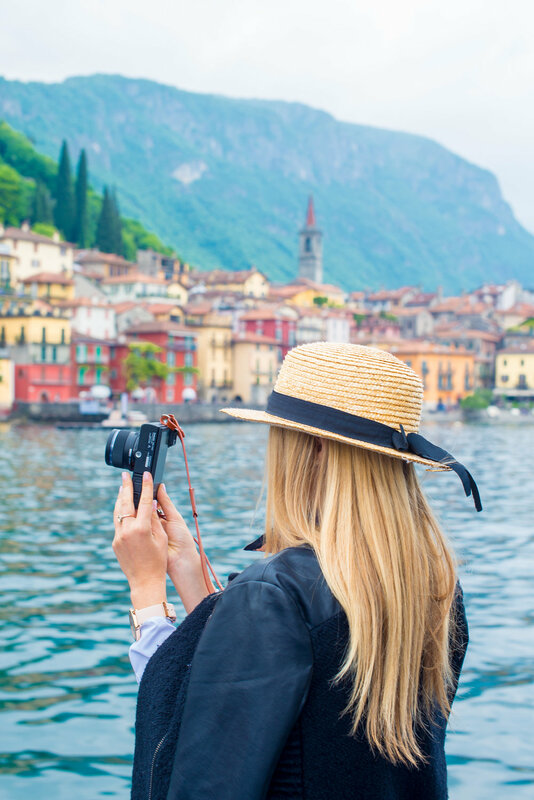 Enea Gondola was a well traveled man from Bellagio and wanted to create something grand on one of the most beautiful lakes on earth. The main Palace of the hotel is simply jaw dropping and every inch of decor is dripping in luxury. It has grand drawing rooms, salons, and colorful lakeside views, along with the kindest and most helpful staff. 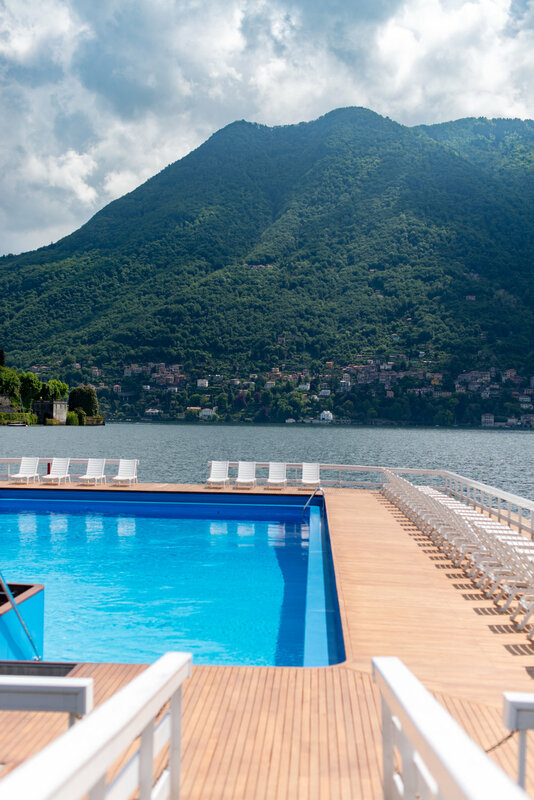 With one floating pool on the Lake in the front, surrounded by green mountains and a front and center view of the vast hotel, Grand Tremezzo also has a heated pool behind the hotel- surrounded by pristine gardens and places to lounge. The grounds surrounding the property are one of the most photogenic places I've been. 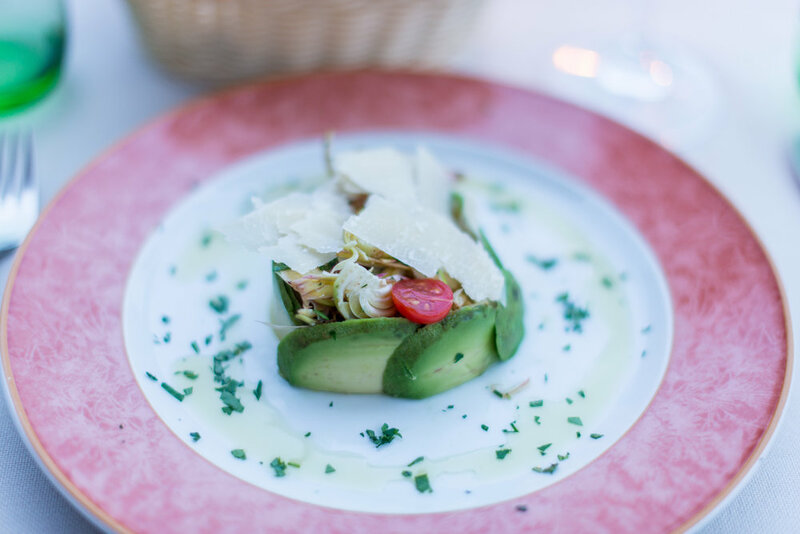 We decided to walk up the mountainous winding roads from Grand Tremezzo to Ristorante Al Veluu for dinner. We barely made it there because we kept wanting to stop and take photos the whole walk up. 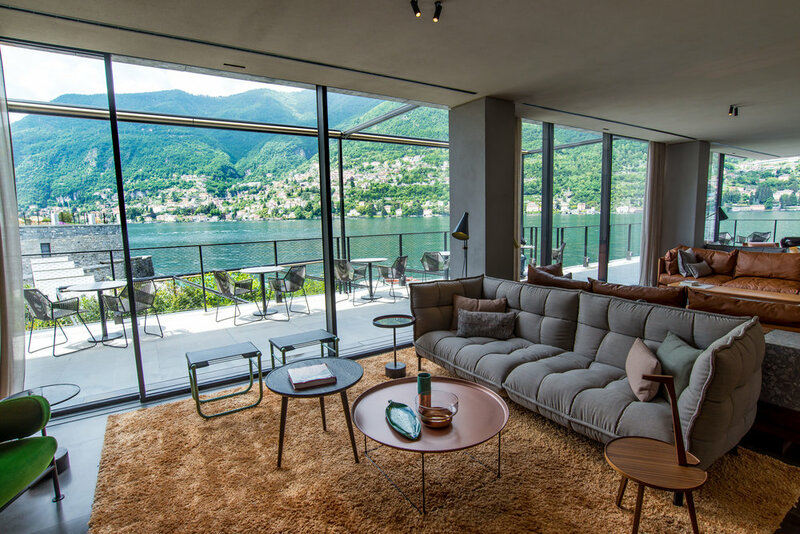 The panoramic views of Lake Como are unbeatable. The warm and inviting hosts were so friendly and walked us around the grounds. We got to explore the gardens where they grow all of their own vegetables. From artichoke to asparagus and tomatoes to cauliflower, they are passionate about growing and cooking seasonally. We got a table on the outside terrace looking over the lake. Although it was a rainy evening, it was still one of the most stunning and romantic places we have ever seen. 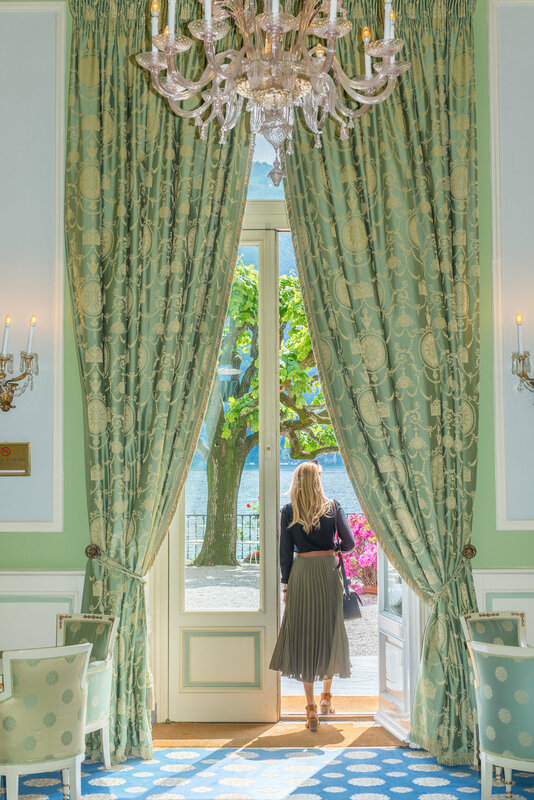 Chelsea and I spent our last two nights on the lower end of the lake in Cernobbio at the historical Villa D'este. 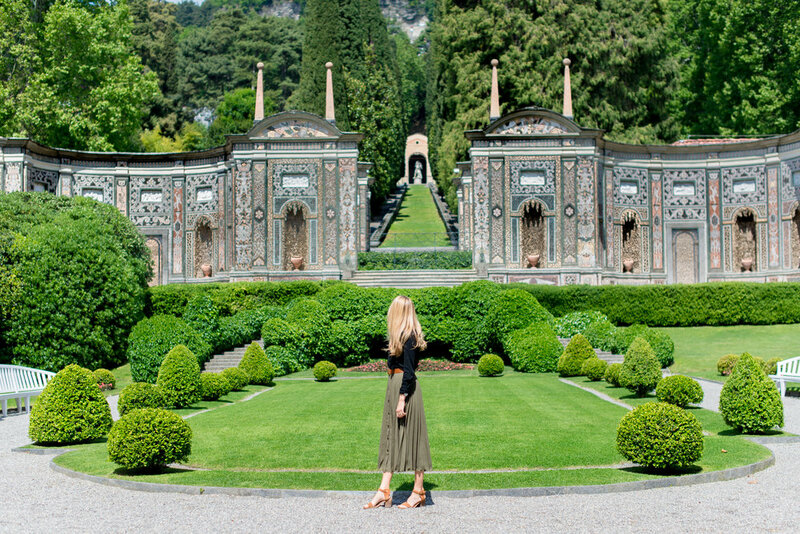 When you first arrive at the gates of the grounds to Villa D’Este, you immediately feel like you’re walking back in time. 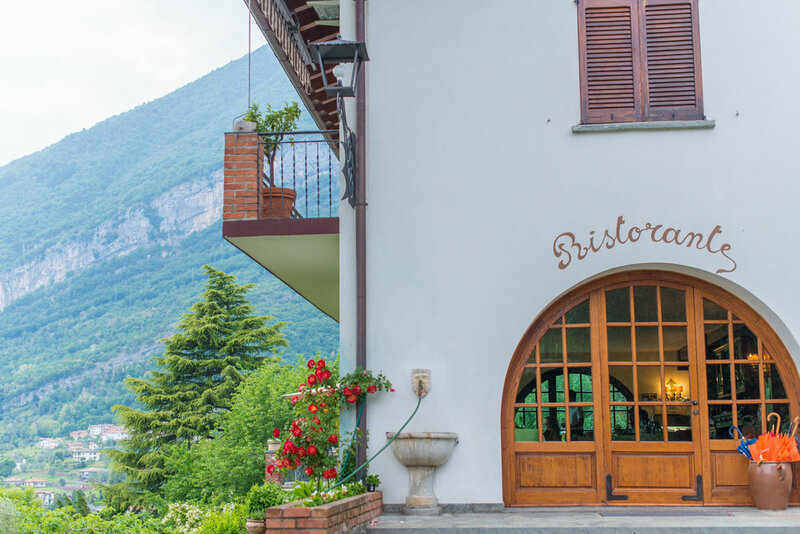 The romantic estate sits on the banks of one of the most beautiful parts of the lake. The hotel was built in 1568 and was the summer house for Cardinal Tolomeo Gallio. 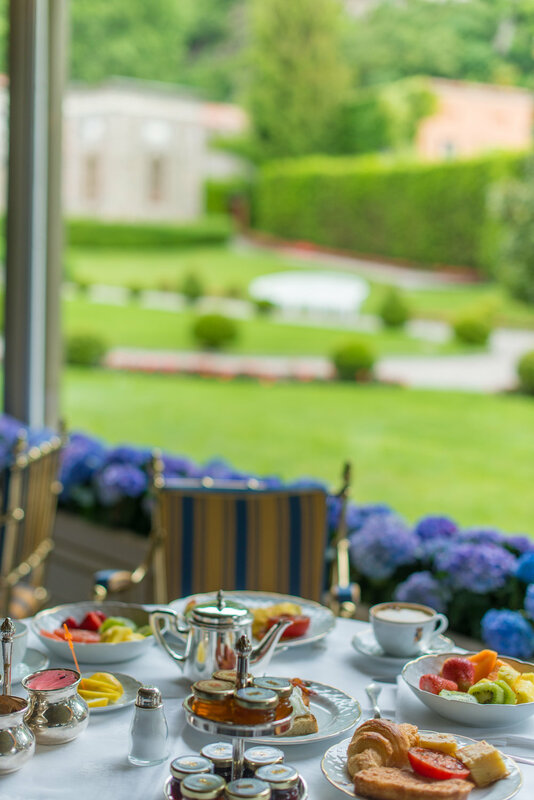 The grounds are composed of 25 acres of vast gardens and lounge areas. The hotel has 152 rooms, all different in decor but equally superior with views of the lake or gardens and mountains. This legendary resort has inherited a reputation in the region for being one of the most exclusive and charming. Although the hotel dates back centuries, it’s new and modern amenities are added for the utmost comfort. 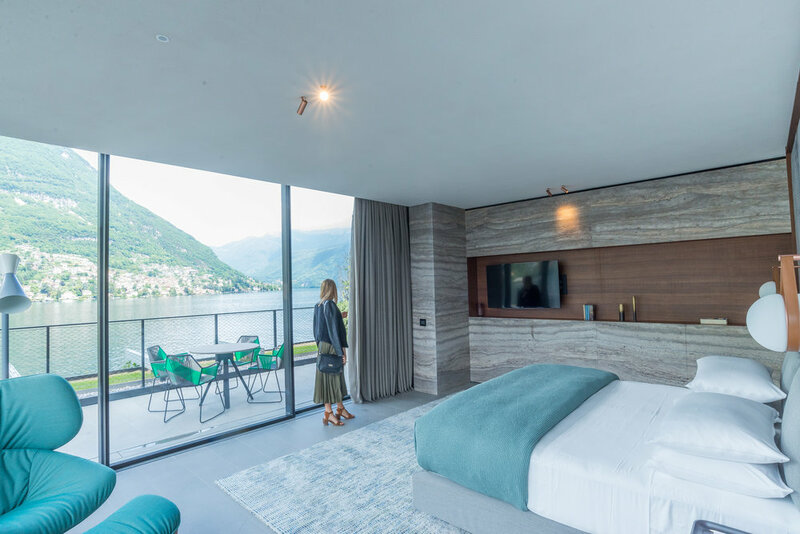 We took a boat from Como Classic Boats over across the lake to the surprising retro and modern Il Sereno. It was a nice change of pace to see something with very natural finishings yet with modern flare. The lakeside hotel has 30 spacious rooms, each with a lakeside view. 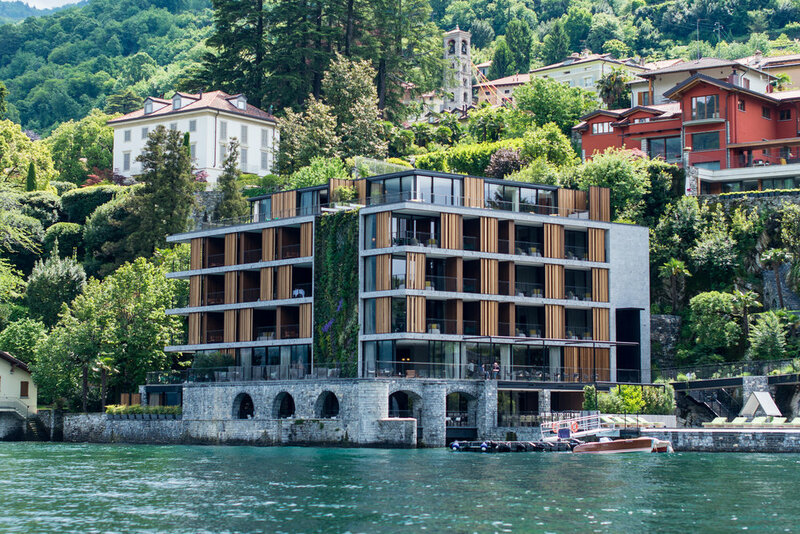 The designer Patricia Urquiola used all natural materials that compliment the banks of the lake. 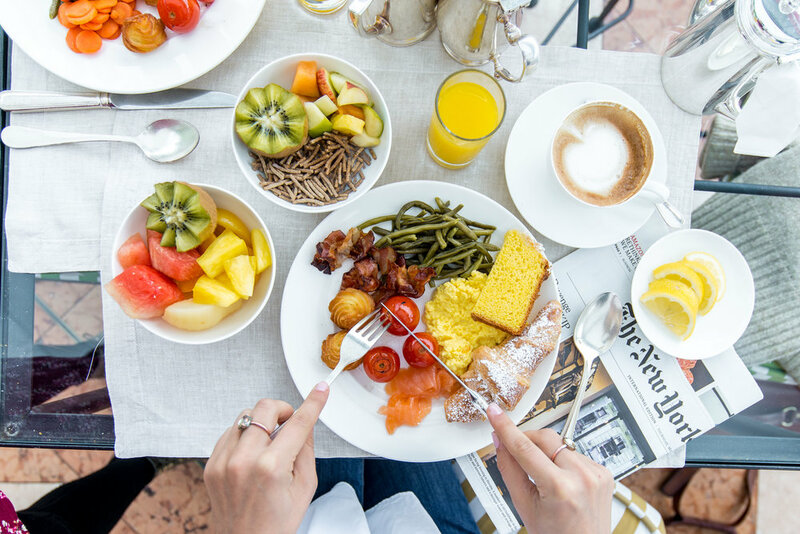 We got to sit down with the young Italian executive chef, Andrea Berton, who has worked in New York, London, and Rome. 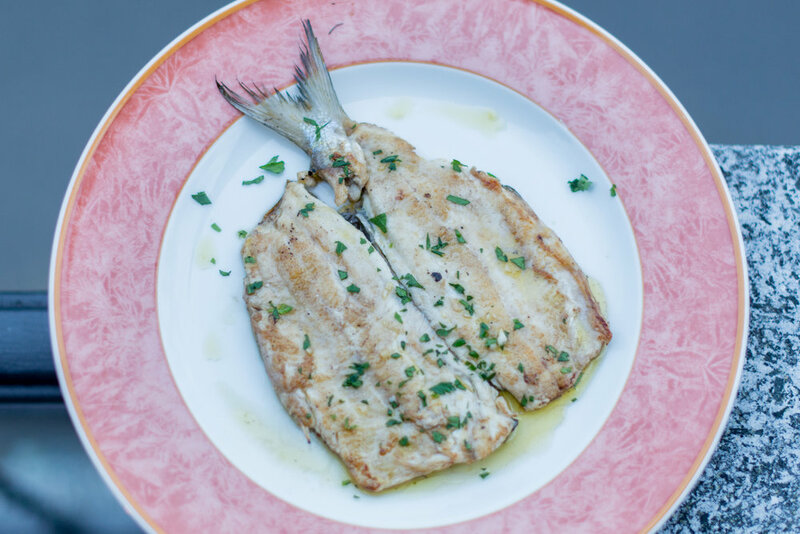 He has an innovative and creative cooking flare that is mixed with traditional Italian cuisine. 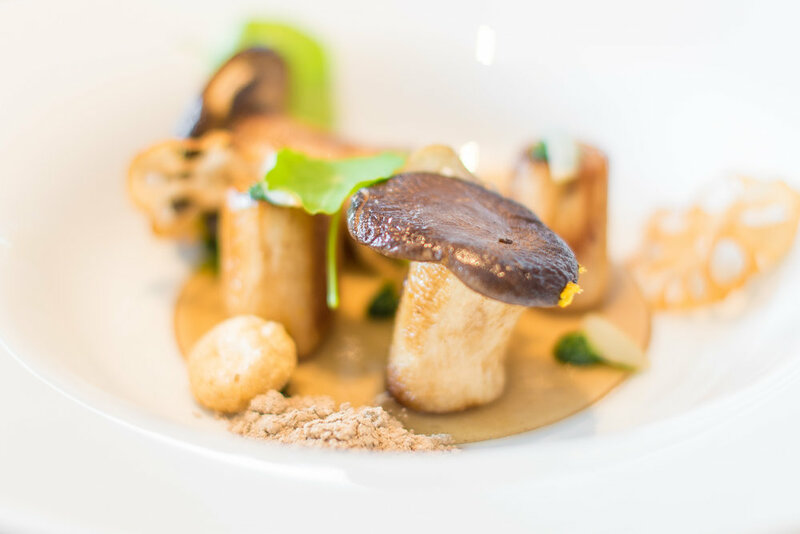 Each plate was a work of art- eye catching but also an explosion of flavors that you would never even dream of pairing together. 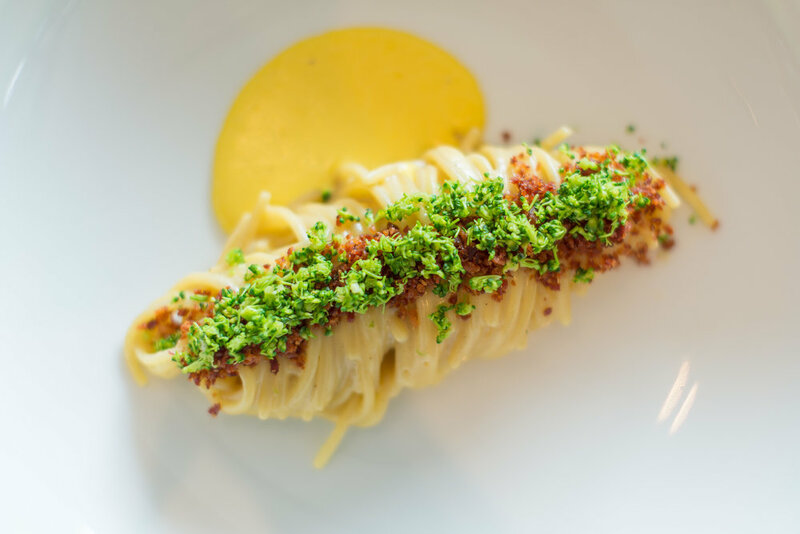 His unique dishes still preserve the Italian influences by using only what is in season and adapting the menu accordingly. Getting around Lake Como needs a bit of planning and understanding of the lay out. To keep the region original and full of its historic charm- there are no shortcuts or bridges. You can rent a car but I wouldn’t recommend it on the winding mountainous roads (people have to honk around several of the corners on the one lane roads to alert other cars coming their direction.) The bus was a nice way to get from place to place but only comes once an hour. 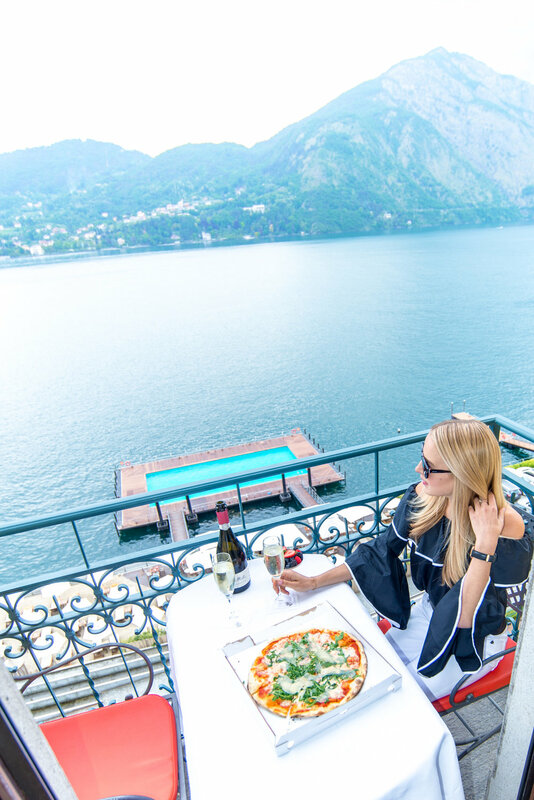 We absolutely loved touring the lake and getting from the hotel to restaurants with Como Classic Boats. The owner is from the region and is a wealth of knowledge and stories from the lake. His fleet is nothing short of luxurous. We got to ride around on the Riva Tritone known for its twin Cadillac engines. It is one of only 8 models every built!